Influencer marketing has now become mainstream. This was one of our Predictions for Influencer Marketing in 2017 we made that has proven its truth. Influencer marketing is not new and niche anymore. It is real, fashionable, and a valuable means for businesses to distribute their content and spread their awareness. It’s time to remove the dust from our crystal ball and make our predictions of the trends that will dominate influencer marketing in 2018. And again, all signs lead to a further expansion of influencer marketing. It is not all that long ago that most people sat at home in the evenings watching a few channels of scheduled television. A significant change in social habits over the last few years has been a move towards people taking control of their viewing experiences. The television market has fragmented over the last twenty years. Initially, this was due to networks expanding the range of channels they offered, widening their programming options. This, in turn, splintered markets for advertisers. They could advertise on a multitude of channels, but none had the audiences of old. It is only unique occasions like Super Bowl that still enjoy large numbers. Then Netflix and the other streaming channels arrived on the scene. People discovered that they could program their evening's entertainment themselves – although viewing is still limited to the actual movies and programs included in the streaming network’s catalog. Suddenly, television advertising lost its luster – people would program an evening of ad-free viewing. But, for Generation Z in particular, the streaming channels still don’t give enough control. YouTube and online video provide complete control for the viewers. They can even make and share programs themselves. YouTubers can sign up to favorite channels that they like, and large follower numbers encourage people to make more videos that meet their audience's needs. All of this choice, all of this freedom, presents problems to brands, however. How can you advertise your product when you don't know where your expected audience will be? 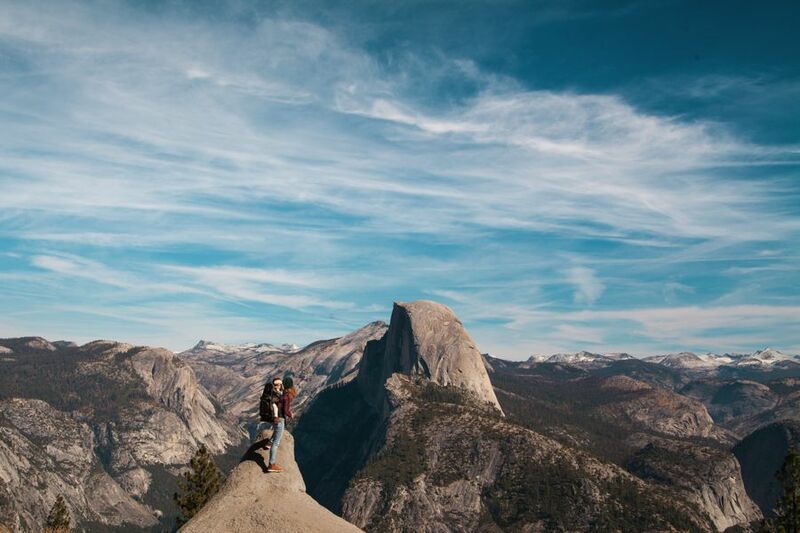 Brands have recently discovered that influencer marketing can provide them with a solution. By definition, influencers influence the decisions of the people who follow them. Brands have found that if they can win the hearts (or wallets) of the influencers, they can win the eyes and ears of their followers and supporters. This is one influencer marketing trend that will only expand further in 2018. Fewer and fewer people will rely on somebody else to see a schedule for their viewing. We are already seeing this trend with the top influencers. In many ways, the lines are blurring between celebrities and online influencers in some areas. Generation Z, in particular, consider many of their online influencers to be the celebrities of their generation. Just as many celebrities have cashed in on their names over the years, the best influencer marketers are beginning to realize that they too can benefit from their fame. We have previously looked at some of the phenomenal incomes generated by top influencers, such as PewDiePie and Zoella. These influencers are creating their own brands. They are also finding many more ways to cash in on their personal brands. This trend has potential benefit for brands working with the influencers. If an influencer can successfully set up an Amazon store or a Shopify site selling merchandise promoting himself, there are plenty of opportunities for him to sell other merchandise that he likes and wants to promote. The key to successful influencer marketing is authenticity. This can be a problem when an influencer is required to share brand-created content. When an influencer is given the freedom to create content promoting a brand, it will come across as more believable to their followers. This can be a real eye-opener for some brands who are used to a high level of control over their brand image. 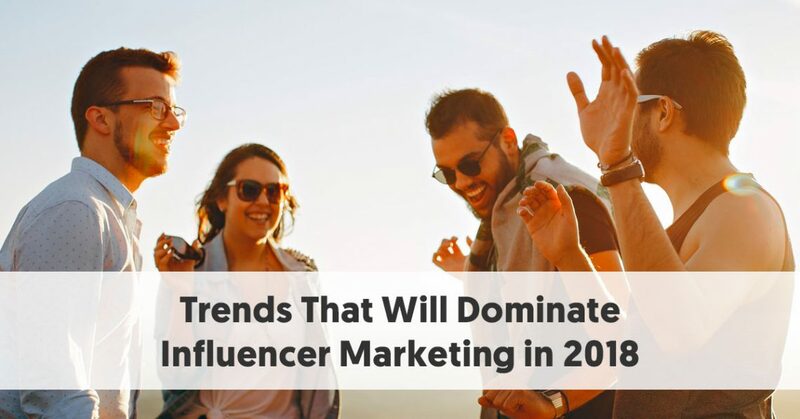 But many companies have discovered that they need to let the reigns loose if they are to receive the promised influencer marketing benefits. Of course, there is a risk in this, particularly if an influencer says or does something that goes against a company’s ethos. This will mean that brands will have to be even more careful that they select influencers who have the same values as the business. Another advantage that brands find from using influencer-produced content is that it can be much cheaper. The costs of creating a professional tv ad will generally be much higher than what it costs to pay a YouTuber of influence to make a video in his usual style promoting your product. Often an influencer chooses to work with a brand because of their love for the products. For instance, Metallica’s Kirk Hammett is happy to promote Ernie Ball guitar strings because he’s used the strings for over 30 years. There would be no advantage to Ernie Ball of trying to provide content to Kirk Hammett. This is a case of a celebrity who genuinely likes a product he uses on a daily basis, who is happy to tell the world – in his own words. Now that influencer marketing is established, and past its early stages, many businesses are trying to perfect the system. Often, companies have discovered particular influencers they feel suit their brand image well. For example, perhaps they want to ensure that their brand is only associated with family-friendly content. Once a brand has found somebody who is a good fit they are likely to want to work more with that person, rather than experimenting with a wide range of untested influencers. The connections between a business and an influencer can become extremely personal and intense. The influencer likes the product and is willing to go out of his way to help the brand. Just as importantly, the influencer can see how the product works with his fan base and is happy to keep on promoting the product's uses. Some of the best brand- influencer relationships last long after the end of a formal campaign. This is because the influencer demonstrates a genuine belief in the product, even when he is no longer being paid for his promotional activities. From a brand’s point of view, it is better to have a dedicated brand evangelist, than it is to take a shotgun approach across a wide range of potential influencers. This will particularly be the case in 2018 for influencers who enjoy high engagement levels, where there is much interactivity between the influencer and his followers. This provides a meaningful experience with the influencer’s audience, more so than those experienced when brands use a range of influencers for one-off campaigns. One of the initial problems with influencer marketing was that it could be confusing to measure success. This lead to an over-emphasis on easily-found metrics, such as the number of followers somebody has. It didn’t take long before people realized that it is easy to fake your follower numbers. This has meant that people have had to put more effort into determining proper engagement and conversion statistics. With a likely increase in spending on influencer marketing, particularly by firms who have been reluctant to travel this path in the past, businesses will keep an even closer eye on the most relevant stats. Brands now realize that they need to set clear goals for an influencer campaign. As campaigns progress, they will look closely at how successfully their influencers meet their campaign goals. As a result, the better influencers are likely to place a greater focus on driving likes, clicks, comments, shares and other forms of engagement. In most cases, their attention will be on pushing for the types of engagement that will lead to higher revenue for the client business. In the latter part of 2017, it has become evident that many firms prefer a cross-channel approach to their influencer marketing. This is likely to be even more apparent in 2018, certainly for larger brands with deeper pockets. They will look at their potential markets and realize that their target audience hangs out across a wide range of social media platforms. They are not just on Facebook or Twitter. They don’t just post pictures on Instagram or videos on YouTube. They are active across all of these channels. Similarly, there are top influencers who operate and are admired across multiple social media channels. Many of the top social media personalities we write about in our posts, could just as legitimately be included in an article covering the leading figures of another channel. If a brand can identify its target audience as actively participating cross a range of social networks, it makes sense that the company widens its campaign to focus on all of these channels. This may mean that they use different types of influencers on these channels for a single campaign. Brands have begun to use a mix of celebrity, macro, and micro- influencer to attract different audiences to campaigns. Businesses are likely to mix and match influencers and social networks in whatever ways best meet their marketing goals. Consumers are more likely to take notice of a campaign statement if they hear it from several directions. If she receives the same endorsements (expressed in various different ways) from people she respects on Facebook, Twitter, Instagram and YouTube, she will take notice of the message. If there is one thing that makes a marketing campaign look stale, it is the use of familiar-looking stock images. This is a particular problem when marketers and bloggers use free image sites. In reality, there is only a limited quantity of different pictures on these sites relevant to any keyword, and these tend to pop up regularly across the internet. If somebody sees a familiar image in their feed they switch off – it’s just another variation of banner blindness. For this reason, the best influencer campaigns use original images, and in particular, videos. This need for originality will occur more in 2018, with brands and influencers wanting to stand out from mundane and ordinary internet marketers and bloggers. Video, in particular, allows for genuine and unique communication between an influencer and his followers. We predicted last year that Snapchat would go into decline, and while its user numbers haven't reduced, they increased comparatively slowly during 2017, to 178 million daily users. At the same time, Instagram Stories increased in popularity at a phenomenal rate, tripling from 100 million users in October 2016 to 300 million users in October 2017. There is no reason why Instagram Stories would reduce its expansion in 2018. Instagram, itself, is going through a rapid growth burst at the moment, and this makes Instagram Stories a logical extension for regular Instagram users. Also, Instagram Stories doesn’t suffer from the “teenage rebel” image that Snapchat does. Adults can comfortably use Instagram Stories without feeling like they are being judged as being too old. Instagram Stories is easy to use, and brands are learning how effectively influencers can use the stories to tell the brand’s tale. Musical.ly is still a niche social network – most adults don’t know of its existence. Yet its popularity is increasing at a rapid rate. We have recently discussed how budding musicians can make a healthy side income on this platform. The reason that you probably don’t know of Musical.ly is that its users are predominantly aged 13-21 years-old. Although it began as a place where kids could upload videos of themselves lip-syncing their favorite songs, it has rapidly expanded to the point where talented “musers” upload new tracks. A “muser” is the name Musical.ly gives to its fanbase. Musical.ly has seen spectacular growth recently, mainly since it opened its live-streaming spin-off, Live.ly. Musical.ly is likely to increase its popularity over 2018 at an even higher rate. This year’s 21-year-old supporters will probably remain on the platform, and there will be another batch of tweens lining up to come in at the bottom. We have already highlighted 20 successful influencers on Musical.ly, and more stars will undoubtedly fight their way to the top over the next year.